The sea princess accompanied by a leafy sea dragon on their quest for lost treasures. Being a lifelong surfer and lover of the ocean and the female form, it’s natural that at some point I’d paint my interpretation of a mermaid. 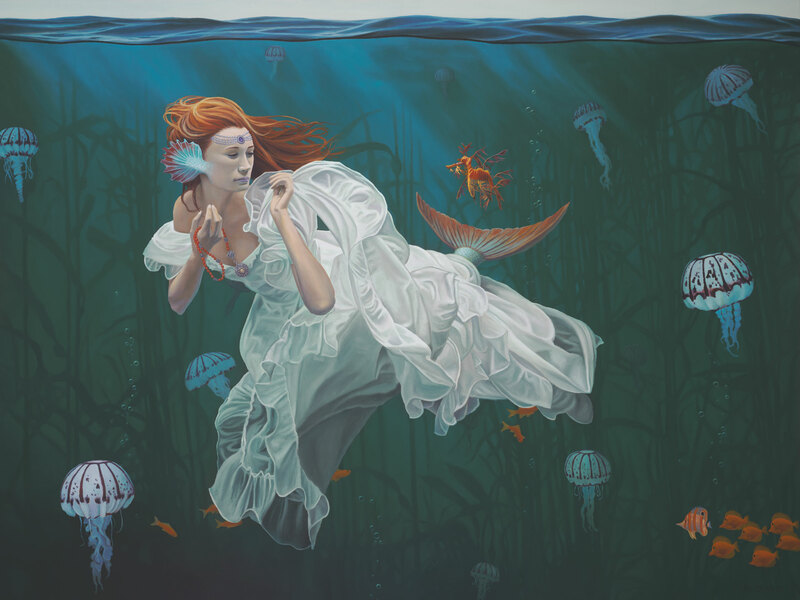 This one was jointly inspired by my fascination with the graceful dance of jellyfish, and also by a portrait taken by the underwater photographer, Sheryl Walsh.